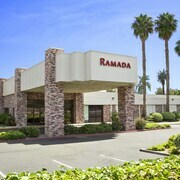 This Ramada in Sunnyvale is 2 miles from the Santa Clara Convention Center and 7 miles from San Jose. Great experience overall! property under construction but didn't affected my stay. It was a lot cheaper than other places in the area. Not a 5-Star place, but if you need a place to just lay your head, it'll fit the bill. 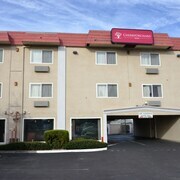 Which hotels are closest to the Sunnyvale airport? 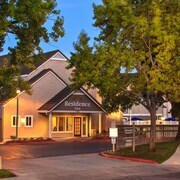 Where to stay near top Sunnyvale attractions? What kind of hotels are in Sunnyvale? 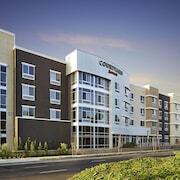 Which hotel chains are in Sunnyvale? Families will find kid-friendly activities in Sunnyvale, and visitors give high marks for the top-notch restaurants, live music scene, and shopping. This city also attracts tourists with its sporting events and entertainment choices. Computer History Museum, California's Great America, and Winchester Mystery House are some of the top sights around the area. Well known for its live music scene, the city's cultural venues include Lace Museum and Guild, The Lace Museum, and Sunnyvale Heritage Park Museum. The city is well liked for its places to shop, and Historic Murphy Avenue is a favorite for retail therapy. 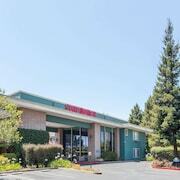 A couple of additional sights to add to your agenda are Elements Massage Sunnyvale and Baylands Park. 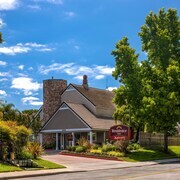 Staybridge Suites Sunnyvale - With a stay at this 3-star hotel, guests can enjoy access to free breakfast and an outdoor pool, along with an in-room kitchen. It's a favorite with Expedia travelers for its location. 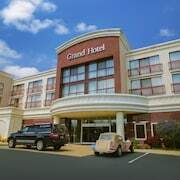 The Grand Hotel - Our customers like the bar and convenient parking at this hotel. This 3-star hotel features free breakfast, an outdoor pool, and free WiFi. 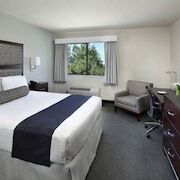 Courtyard by Marriott Sunnyvale Mountain View - This 3-star hotel features a restaurant, an outdoor pool, and free WiFi. Expedia customers like its overall value and helpful staff. 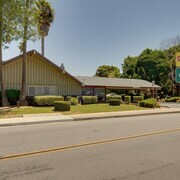 Popular places to see in the area include Computer History Museum, located 3.9 mi (6.2 from the heart of the city, and California's Great America, which is 3.9 mi (6.3 away. With so many ways to get around, exploring Sunnyvale is a breeze. 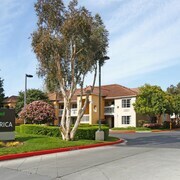 Nearby metro stations include Moffett Park Station, Fair Oaks Station, and Lockheed Martin Station. To see more of the surrounding area, hop aboard a train at Sunnyvale Station or Sunnyvale Lawrence Station. 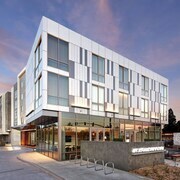 What are the most popular hotels in Sunnyvale? Are there hotels in cities near Sunnyvale? 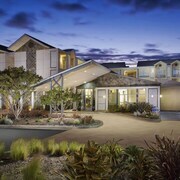 Explore Sunnyvale with Expedia.com.au’s Travel Guides to find the best flights, cars, holiday packages and more!